New hair, who dis?! Honestly, I needed this hair appointment today more than you know. This is normally my space for documenting all things lovely in my life, but if I’m being completely honest…the past six plus months have been extremely hard on me. Hard on me as a military spouse, hard on me as a breastfeeding mama, hard on me in so many ways. We’ve moved across the ocean, my daughter started kindergarten, I’m (unsuccessfully) trying to wean the baby, I’m sleep deprived, and the list goes on and on. Most of all, when I look in the mirror, I don’t like what I see. 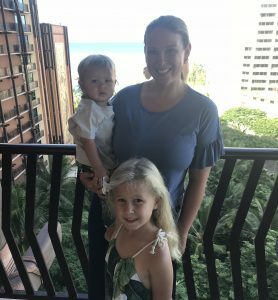 I’m having a hard time getting rid of the baby weight, and I struggled typing this since I have my own health and wellness business. But, the truth is breastfeeding has been tough…I’m hangry, and despite eating mostly healthy(ish) I can’t seem to budge with this weight and I haven’t been consistent with working out or my supplements lately. I’m not sure why we as women let our self image have so much control over us. Today, I want to turn over a new leaf…I want to find the beauty in everything around me and in me. I want to set a good example for my daughter, so hopefully she doesn’t go through this yo-yo of emotions I feel about myself. It’s ok to not be ok all of the time. I’m so thankful to have a great family support system and a husband who helps out tremendously. And, I’m oh so blessed to have my good friend Pam with me here to listen to me vent on the daily. This week I started back on the straight and narrow with my gut health, I had a couple of pamper sessions, and I’m feeling a bit more like myself. To the cashier at Whole Foods today that made me feel important, and the little old lady that struck up a conversation with me on the wine isle…thank you both for making me smile today. I’d love it if you’d comment with some words or scriptures of encouragement or even things you do when you’re feeling in a rut. Also, if you have any breastfeeding weaning tips…I will gladly take them too! Previous Post A magical 6th birthday! Be joyful in hope, patient in affliction, faithful in prayer!